Dwarf Hamster Supplies: Cages, Bedding & Toys! Like any pet you buy, dwarf hamsters also need certain items to live happy, healthy lives. Whilst some supplies are essential there are also items that are nice to have but not absolutely critical. The most vital item you will need to purchase is their home, a safe and comfortable environment for which they can thrive in. Whilst many choose the obvious and that is a wire cage, you may also want to consider other options, for example an aquarium or a plastic tank or cage. The reason being is that many wire cages are not always suitable for dwarf hamsters, because of their size they can often squeeze through the bars of cages and get stuck or worse escape entirely. If you do want to by a wire cage then make sure the bars are small and close together to avoid this. 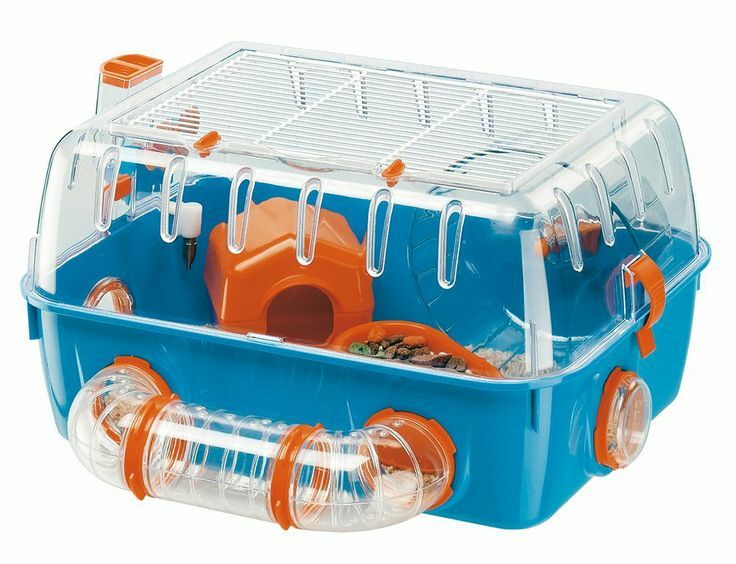 A plastic tank or aquarium is a great alternative and not only will your dwarf hamster not be able to escape but you will also find you have a great view of them to watch them runaround and play. Obviously you will also want to make sure their home is big enough. The Chinese dwarf hamsters and the Russian dwarf hamsters love to exercise so you will want to ensure they have plenty of room. Especially if you buy a pair and keep them in the same cage or tank. Bedding is relatively cheap to purchase and is vital to make your hamster happy. This can be in the form of wood shavings which is the most common and you will want to put down a layer of about one to two inches in the enclosure, covering the entire area and you can also layer it up in certain areas of their home as dwarf hamsters love to play and climb. Dwarf hamsters love to nest, so you will need to buy a hamster house. This gives the shy creatures a place to hide away either from their dominate mate or just to get some piece and quiet. A litter box for hamsters can also be purchased, although this is not critical. Dwarf hamsters tend to litter in a certain area of the cage and once you notice this you can then insert a litter tray. Filled with hay or newspaper this will mean you can empty it out on a regular basis and this will help keep their home clean. Never use cat litter in their litter tray as this has been known to cause problems to the hamsters and should be avoided at all costs. Dwarf hamsters absolutely love to chew and although most people associate these chew toys with dogs, hamsters love them as their teeth never actually stop growing so allowing them to chew on certain items will maintain their teeth and keep them at normal levels. These types of toys can be commonly found at pet stores and come in all manners of sizes and colors. Generally they are made of softwood. You will also need to purchase a water bottle for your pet hamster and whilst some owners supply water via a water bowl, this is not really ideal and these regularly become littered with bedding and food. With a water bottle the water will stay clean and healthy. They are attached to the side of the cage and are easily refilled with little or no spillage. You will need to make sure you check it regularly and ensure there are not cracks or splits in the plastic. There are lots of toys available to dwarf hamsters and although they are considered as toys I think it would be wise to invest in a hamster wheel or/and a hamster ball. Considering their love of exercise and their active nature, this is a great way to ensure they get the exercise they need whilst being in a safe environment. Dwarf hamsters are relatively cheap and easy to keep and once you have made the initial purchases the ongoing costs for food and bedding should be minimal.